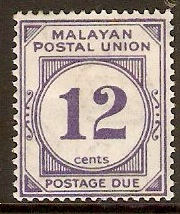 Mounted mint 1936 12c Pale ultramarine Postage Due. SGD5. 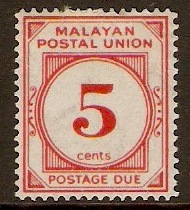 Simply enter your details below and we will send you an e-mail when “Malayan Postal Union 1936 12c Pale ultramarine Postage Due. SGD5” is back in stock!